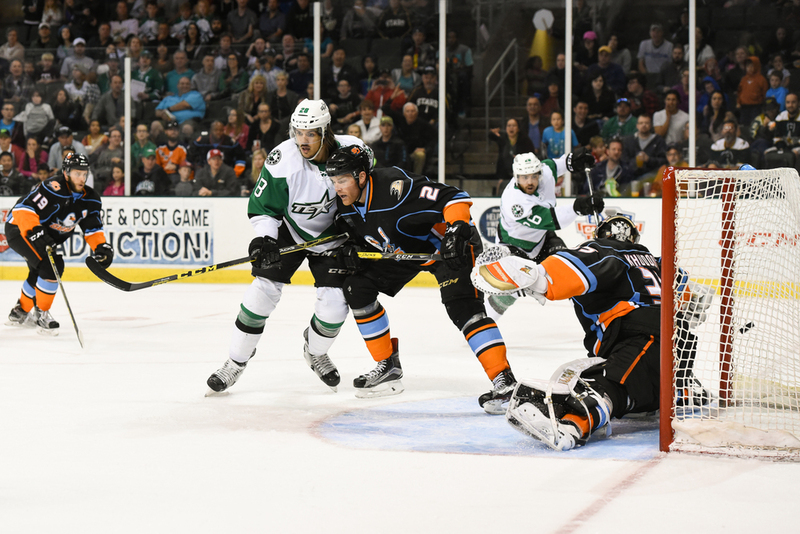 It's playoff time and the Texas Stars have completed 2 games in the first round against the San Diego Gulls at the H-E-B Center at Cedar Park. 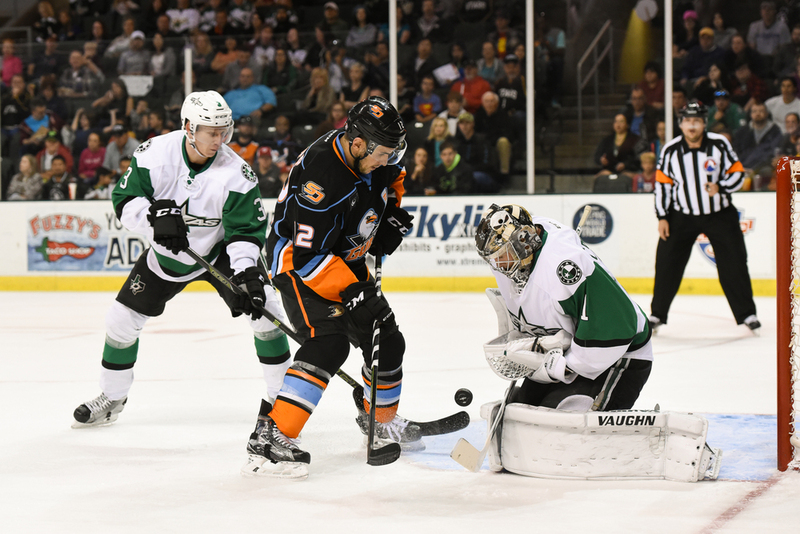 On Thursday the Stars gave up the first game to the Gulls in a 3-1 loss. 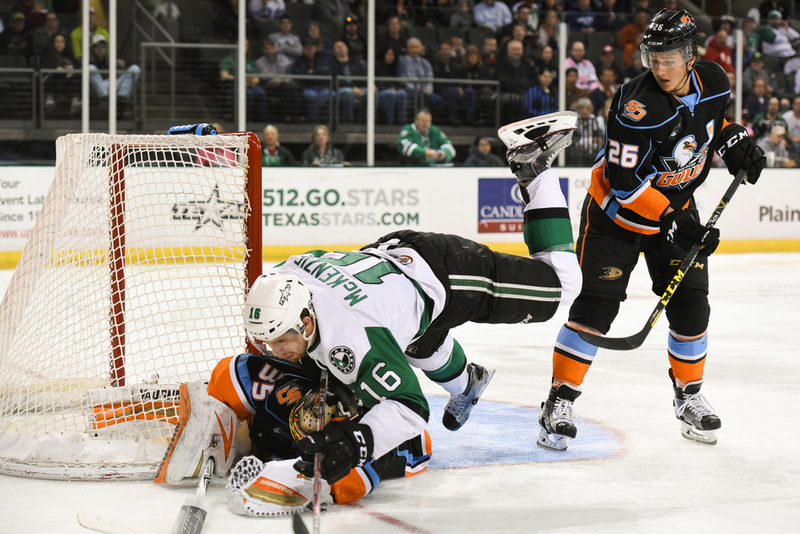 Last night, Saturday, was payback time and the Stars came away with a commanding 5-1 win. The team hits the road this week to play out the rest of the series in San Diego. 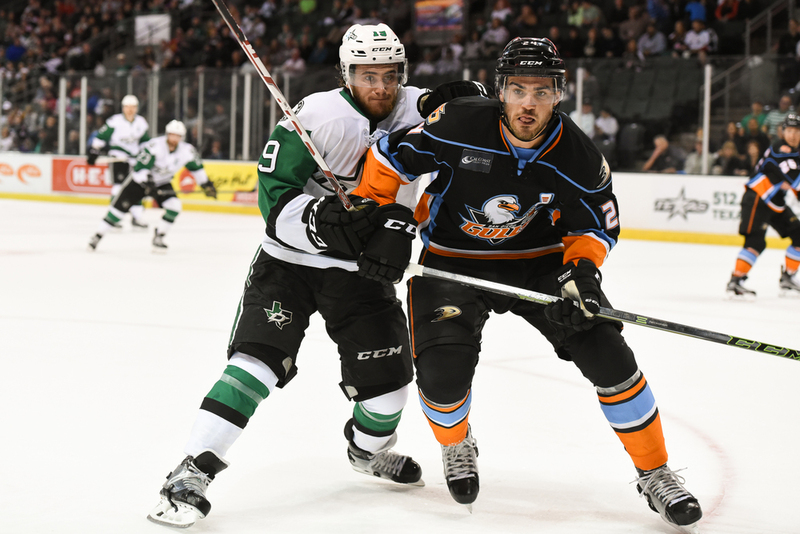 It will take 2 wins on the Gulls' ice for the Stars to advance to the next round. The first shot from Thursday's game (above) is Brendan Ranford battling it out to get to the puck in a corner. The second shot is Travis Morin facing off against former Texas Star Chris Mueller. The third shot is Curtis McKenzie tumbling over the Gulls' goaltender, with a little help from the Gulls' defense of course. Full image gallery from Thursday's game is here. The first shot from Saturdays game is a beauty of a goal for Matt Mangene. The puck is seen in flight into the net. The second shot is Brett Ritchie showing no brotherly love to younger sibling Nick Ritchie. The third shot is a rebounded puck in front of Jack Campbell's net as the Gulls pushed hard to get some points on the board. He did make the save on the rebound.